Usually, when you view other people’s stories on social media platforms such as Facebook, Instagram, Snapchat or WhatsApp, they’ll know you viewed them. On the other hand, for privacy or personal reasons, you may want to spy and see these stories without the poster knowing you did. Therefore, this article will discuss the seven ways you can View Snapchat Stories without the other Person Knowing. It is a clear tip on how you could spy and view other people’s stories on Snapchat without their consent. Typically, when you view other people’s Snapchat story, they get to know that you did so. How do you view them anonymously? That’s what is treated on here. It the seven different ways you can spy on people Snapchat stories without them knowing by using any of these apps. Spyzie is a cross-platform app for spying “in its entirety” on other people’s Snapchat activities. It is an excellent mobile app with flexible spying features. With the Spyzie app installed on your mobile device or even on your PC, you would view other people’s Snapchat stories traditionally, yet, they won’t know you “came around“. Spyzie has a cool, easy to understand interface, and supports the latest OS versions (Android Pie 9.0 and iOS 12). Among the reasons why you need this app are the facts that it does not only keep you anonymous on Snapchat but other social media platforms and it packs a wide-range of useful parental control features. Furthermore, Spyzie gives you access to track other Snapchat users’ messages plus other activities they do on the platform. While this is not a dedicated Snapchat spying app, it is one of the best apps that keeps you blank on Snapchat. The Cocospy app is among the few Snapchat spying apps with extensive features while being available for free. All you need do is to sign up on the website and start spying on your friends on Snapchat. With this app “Cocospy” when you view people’s stories on Snapchat, they’d never know you did. Asides viewing stories without getting noticed, Cocospy also provides its users with limitless access to all of one’s actions on Snapchat; that means, you could see another Snapchat user’s messages, photos sent/received amongst other things. It is a flexible app that runs on both Android and iOS devices. Inclusively, you could use this app to spy or stay anonymous while tracking people’s activities on various social media; its ability to spy is not limited to Snapchat alone. For both personal and commercial use, Cocospy is recommended, thanks to the intuitive interface too. Technology is simplifying everything for us all. The SpyFone app is equally one of those top apps to secretly view other people’s Snapchat activity. It is a premium app with much flexibilities that span across other social applications too. Also, this app is compatible with the Android and iOS mobile operating systems; thus, everyone has access to it. On the other hand, there are different things which are supported by this app; the features are not limited to Snapchat spying but equally general mobile device spying. This is a commendable app for parents or employers who seek to check the social media activities of people under their charge/care. This is one of the most popular apps out there for secretly viewing or poke-nosing into other people’s activities on various social media. So, if you’re looking for a way to view a friend’s story on Snapchat without him/her knowing, then, maybe you should try using this premium app. It is not free by the way, however, it does a great job, and you won’t worry about the pricing. 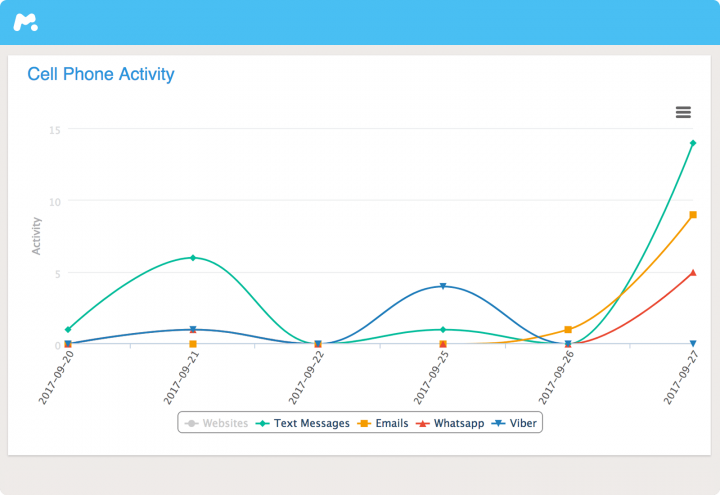 With FlexiSpy, you can also monitor people’s SMS messages and those they send through instant messengers. The app is available across platforms (PC, iOS, Android). Also, the easy-to-use interface is one of those catchy features that has gained FlexiSpy more users. You should check out this app; arguably, you’ll find it helpful for your cause. It is true that you value your online privacy so much but still want to know what certain persons are doing on social media, right? Probably, you want to always see the photos/videos your kids and/or employees share on their Snapchat profile without them knowing you did it? Well, the mSpy app is one of those amazing apps that will help you achieve this easily. With mSpy, no one will know that you’re keeping in touch with all of their activities on various social media platforms including viewing their stories. It is a top-rated spying app available across all possible platforms you could use. The features are noticeably great including an easy-to-read/navigate control panel. Once it has to do with spying on any social media platform, this is one of the right apps for this action. TheTruthSpy is not only a cross-platform application but also a simple-to-understand spying app with lovely features. It is one of the most used application for social media tracking/spying purposes. 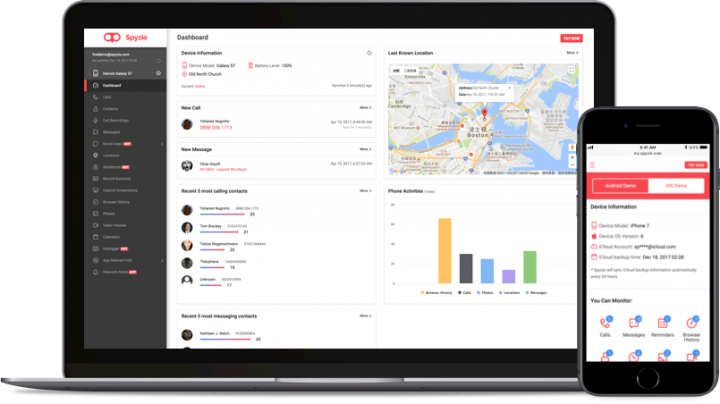 TheTruthSpy has made its way into various home as a parental control app, and into various offices as an app for monitoring employees or juniors. There are other capabilities of this Snapchat spy app which are really useful and perfect for maintaining your online privacy. So, I’m going to conclude today’s list with this fantastic app for remaining “blank” on social media. Once you install this app on your device, no one would know you ever viewed their Snapchat stories and you can further track other of their activities. Just as the other apps already on this list, this app is a cross-platform app. Snapchat is among the top social media platforms with billions of active users. The platform is primarily for sharing pictures or short video clips; these pictures or clips can be posted as “stories” or on a user’s wall. When you add pictures to your Snapchat “story,” the picture/video clip is visible to all your followers for 24 hours after which it will disappear. Now, when people view your “Story” you’re allowed to see who they are and when they viewed the story. With these apps listed out here, you will be able to view people’s Snapchat stories, and they’ll never know you just did. Also, they provide other spying funtions and are available across many platforms. Know about another app to spy or View Snapchat Stories Secretly? Tell us about them below. I so wanted to know this feature, glad I found this post. Next ItemCocospy Review 2019: a Flawless Phone Tracker App?